Apple's latest update to its mobile OS arrived on schedule on Tuesday. Along with the usual bug fixes, the update adds the new Apple Music app and makes changes to iBooks. Its launch coincides with the new Beats One webradio station. iOS 8.4 is available for the iPad 2 and newer, the fifth-generation iPod Touch, and the iPhone 4S and newer. 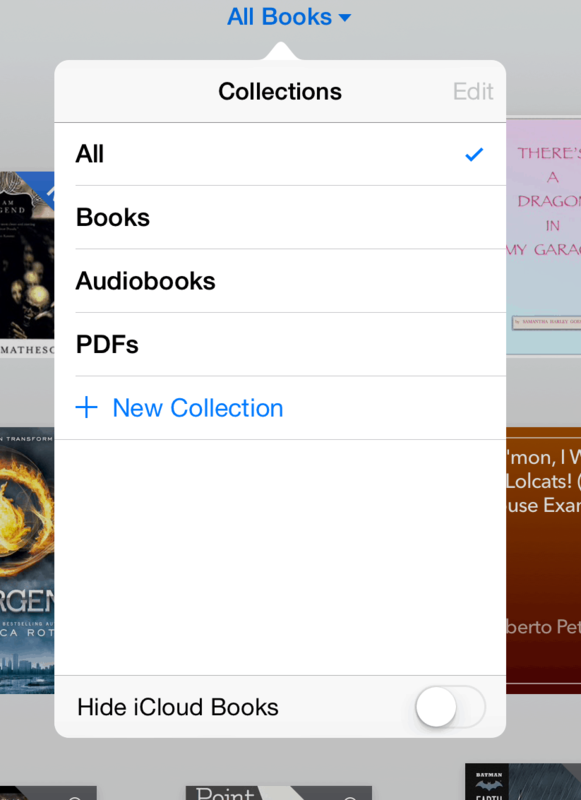 In terms of iBooks, the app now supports playing audiobooks inside the iBooks app. Apple has also moved the audiobook section of iTunes into the iBooks app. Playback remains unchanged, however. The iBooks app on the iPhone also now support digital textbooks made with iBooks Author (which had previously only worked on the iPad). Android support for iBooks is still nonexistent, of course. In terms of bug fixes, the update repairs the bug where a specific set of characters could crash the operating system, and it also fixes the intermittent problem which "prevented GPS accessories from providing location data". And best of all, the update "fixes an issue where deleted Apple Watch apps could re-install". This is probably going to be the last update to iOS until iOS 9 is released this fall. The new version of iOS isn't expected to do much in the way of ebooks but it will come with the Apple News app, split screen and multi-tasking modes, and a couple minor features like the Save to PDF sharing option. The iBooks app now keeps aliases in the PDF library of all the PDF files that you’ve placed in other libraries. It even put the aliases back in PDF there when I upgraded. So, when you “move” a file from the PDF library to another library, it just creates aliases in both libraries, so that deleting the alias from PDF also deletes the single file altogether from both places. NOT A GOOD MOVE, APPLE!!! Hate it too!… I have so many PDF books I can’t find!!! (they where in no collection before the update). I can’t remember which files had no collection. iBook won’t let me highlight texts in iPad Air 2. any fix? It’s working on my iPad Air 1. What ebook are you trying to highlight, and are you sure that’s actually text (and nor an image containing text)? iBooks won’t let me highlight words in a PDF (IPad air 2 iOS 8.4) but I can in epubs. Not sure if this feature was available at one point or not, but I wish it was available to me because the note taking feature would make my life easier right about now. The only options I am offered are speak, copy, define, and search. I don’t think iBooks ever supported highlighting in a PDF. Have you tried the iTunes U app? I know it recently gained support for PDF, and it might have a highlight option.